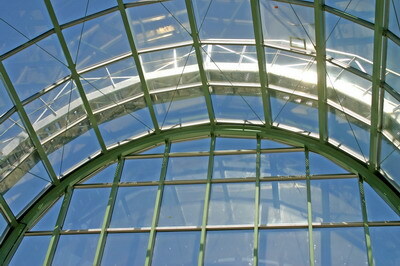 Plastic materials can be used for both the skylight covering and glazing. An entire skylight structure can be built form a single piece of plastic and even shaped to overlap the frames, thereby minimizing the possibility of water leakage, and reducing both framing and maintenance costs. The main difference between plastic vs glass skylights is their level of safety hazard; plastic skylights are lighter in weight and resistant to shattering, unlike glass skylights. 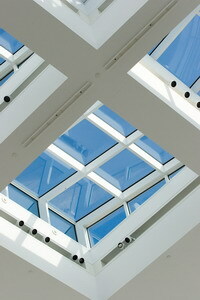 The glazing of plastic skylights is usually done with either polycarbonate or acrylic materials. While acrylic materials are resistant to degradation by means of ultraviolet rays, polycarbonates are generally sturdier and longer lasting. Plastic dome skylights provide soft, diffused light, for the gentle brightening of a room. White plastic dome skylights soften the light to prevent glare and/or hot spots. Roof 101 can install plastic dome skylights in all areas of your home or business, in all colors and glazing. Although plastic skylights are safer and sturdier than glass skylights, they do pose several long term disadvantages. Firstly, because they are made in single sheets, they can only be curved or bent in one area, which limits design options. Secondly, all plastics deteriorate in strength and light transmission as time passes, due to ultraviolet rays, heat and oxidation (and none can be entirely prevented). And finally, the life and service of plastic materials is highly unpredictable. 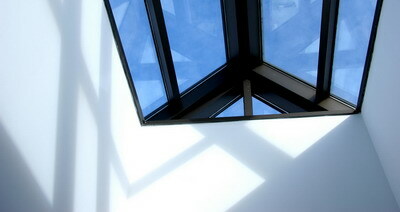 Therefore choosing the plastics you will use for a plastic skylight requires much research and first hand knowledge. This is where Roof 101 can help – our contractors have worked with all kinds of plastics in plastic skylights, and their first hand experience could greatly assist you in reaching a decision. A roof can be the most distinguishing feature of a house or building, with the ability to make or break the desired appearance. It will also be your main source of insulation and temperature control, and protection against weather damage and the sun. Therefore, designing your roof style, choosing materials, drawing up framework and incorporating features such as drainage, coatings, vents, insulation and skylights, should all be planned meticulously and carried through precisely.